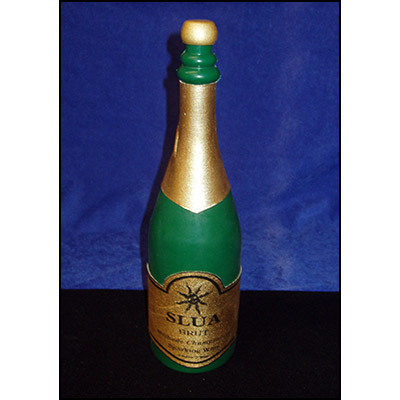 This is an extremely realistic champagne bottle made of silicon, which is much durable than ordinary latex or rubber. You can vanish this highly compressible bottle in a small space or grocery bag etc, or produce it from a standard production box. The label and decorations are made of cloth and thus will not tear when the bottle is folded. A very realistic production prop or a great magical vanish.